I help busy and frustrated women find relief from autoimmunity, supporting their adrenals, shedding unnecessary body fat, balancing hormones, and gaining an appreciation for their body. Find relief from autoimmunity, obtain optimal hormonal & adrenal health, lose body fat, and ditch dietary dogma – I’ll help you get there. I’m interested. More details, please! As much as you love your bestie, you two have your differences – your diets should be one of them! At Grass Fed Salsa, I have the education needed to provide you with the necessary tools to better understand the requirements of your body to feel and look its best. 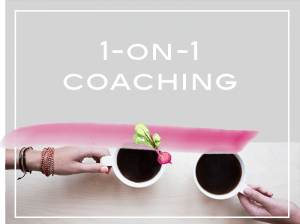 By working with a Certified Health Coach & Nutritional Therapist in a 1-on-1 setting, you’ll get the accountability that so many need for success. Through the guidance and consult of your personal nutrition expert, you’ll design a plan to fit your specific needs, tolerances, and tastes. Weekly accountability helps you to achieve a state of confidence to maintain your new habits, and continue on your own with a sustainable, healthy lifestyle. I worked with Anne Marie as my health coach throughout the Ditch Your Nutritionist self-paced ecourse, and I am so thankful I had the extra support. It was so reassuring to have her there to help customize the plan for me. This exclusive coaching program is personalized for you. My signature process begins with a comprehensive assessment that we use to create an individualized program just for you. Based on our core factors, this individualized assessment tailors the Ditch Your Nutritionist protocol to your specific needs, be it autoimmunity, weight loss, hormone balance, etc. » interested in how you can nourish your body in more ways than controlling the food you eat. » coming from a diet/restrict or binge eating cycle, and are wanting to learn how to overcome these struggles in order to eat intentionally and mindfully. » wanting to create a healthy relationship with food & exercise. » ready to put the dieting world behind you, and learn how to honor the needs your body has. » struggling with an autoimmune disease. » excited to learn about your body’s personal needs, and how to work with them to customize a diet specifically for you. » confused about what you ‘should’ and ‘shouldn’t’ eat. » struggling with terrible PMS symptoms, and/or other hormonal imbalances. Anne focused on me as an individual, and I never felt like she pressured me into following a regimen that “had to work” for me just because it worked for someone else. She constantly reminded me to listen to my body, to put thought and care into what I ate, and to consider my physical and mental state when food cravings hit. What is not to love about that? My commitment to your and your goals will be evident every time we meet. After 12 weeks of our life-changing work together, you will be free from ‘food prison’, and will have an understanding of how your body responds -both physically and emotionally – to the foods you eat. After each coaching session, you’ll receive a personalized action plan complete with behavior goals to work on between your calls. Support and accountability are essential to making the transformations you deserve. I use these calls to dive deep to uncover the habits and behaviors holding you back. My coaching program teaches you how to identify your deficiencies, and design a meal planning framework that works to balance your body and support your metabolic typing. This is done through video lessons you can watch at your convenience, and during our virtual coaching sessions. Using this information, we’ll work together to come up with a meal plan that suits your needs, preferences, and lifestyle. After each coaching session, you’ll receive a personalized action plan complete with behavior goals to work on between your calls. I’m here for you all the way. You have access to me via email or text anytime you need it. I’m here to guide, motivate, and inspire you the whole way. Your 8 module, virtual, self-paced guide to designing a perfectly personalized diet. Continue your learning long after our time together through video based coaching sessions teaching you how to analyze and customize a diet tailored to your food sensitivities and nutritional deficiencies. While I’m not currently accepting new clients, you’re welcome to hop on my waiting list or reach out for another practitioner referral. Fill out the form below and I’ll reach out with my anticipated availability, and a recommendation for a great practitioner who can help you if you’re eager to get started now.